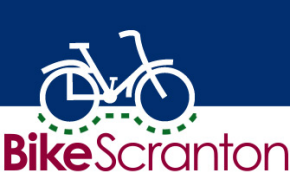 Bike Scranton is a cooperative program between the University of Scranton Office of Sustainability, and the Lackawanna Valley Heritage Authority. All University of Scranton students, faculty, and staff as well as Lackawanna County Library System card holders may borrow a bicycle as long as they are at least 18 years of age. Visitors to Scranton over the age of 18 may also borrow bicycles, as long as they can provide a valid photo ID. Each bicycle comes with a lock and an adjustable helmet upon checkout. Bikes may be borrowed whenever the library is open, and all bicycles must be returned before the library closes that same day. There is no charge for borrowing bikes. Other participating locations in the Bike Scranton program are noted on the Bike Scranton website (http://www.bikescranton.com/). Bikes checked out from the Weinberg Memorial Library must be returned here, and we will not accept returns from any of the other Bike Scranton locations. The Lackawanna Valley Heritage Authority owns all of the bicycles. Bike Scranton is seasonal, and the transportation and storage of the bicycles is the responsibility of our University Facilities staff. The bikes are routinely maintained by Strive Multisport (formerly Cedar Bike & Paddle). Please ask at the Weinberg Memorial Library Circulation Desk if you have any questions.